The Liberty CRDs have problems with dirty intakes which is explained here. 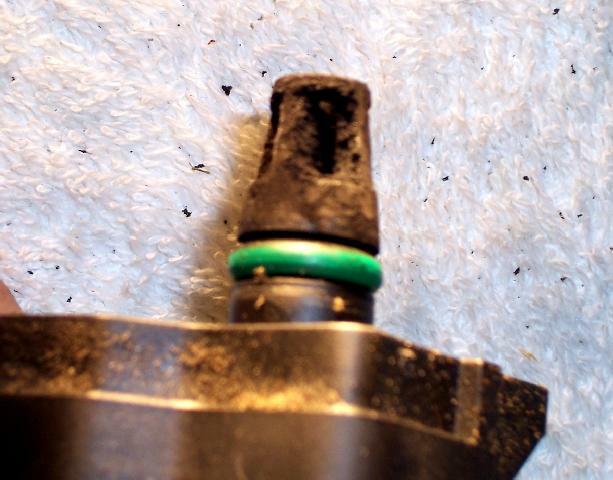 One thing owners have found they can do is to occasionally clean the manifold pressure sensor. It is a simple process. 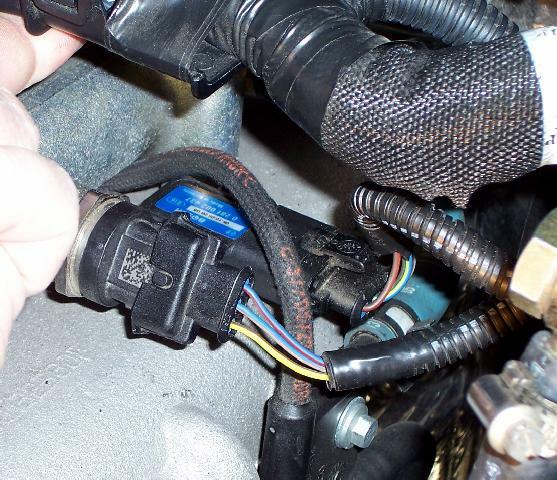 The part in question is near the back of the intake manifold under the engine wiring harness. 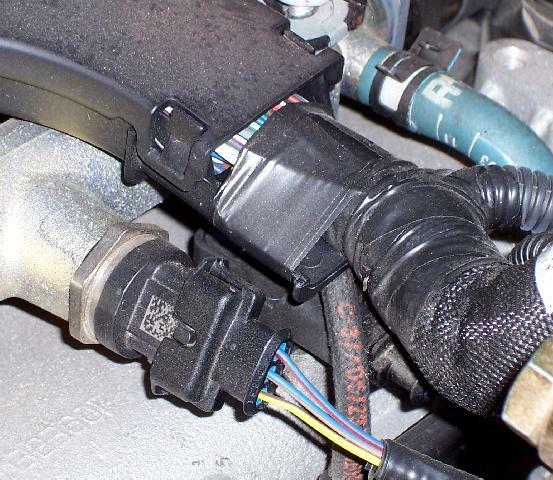 Releasing the engine wiring harness gives us more room to get to the sensor. It has a blue label. It's held in place by one 4mm bolt. 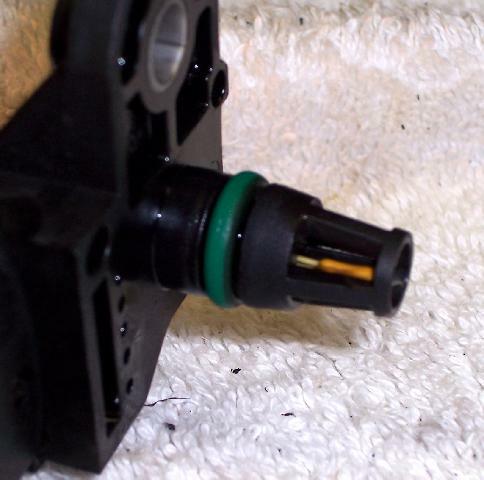 The sensor measures intake air temperature and pressure. 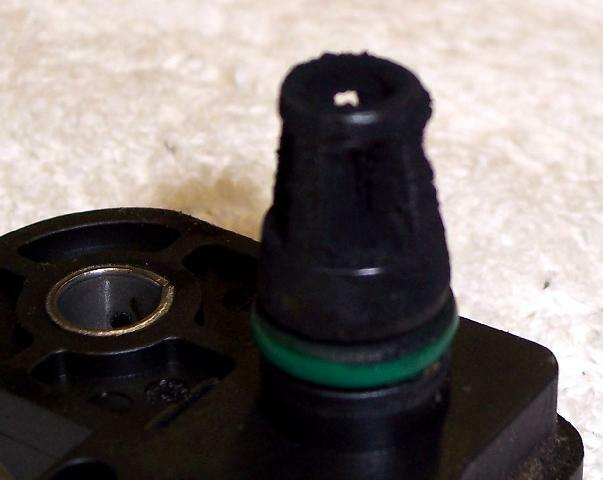 My CRD only has 8271 miles on it and I've had the crankcase breather hose disconnected since day one, yet my sensor is still covered with soot from the EGR. 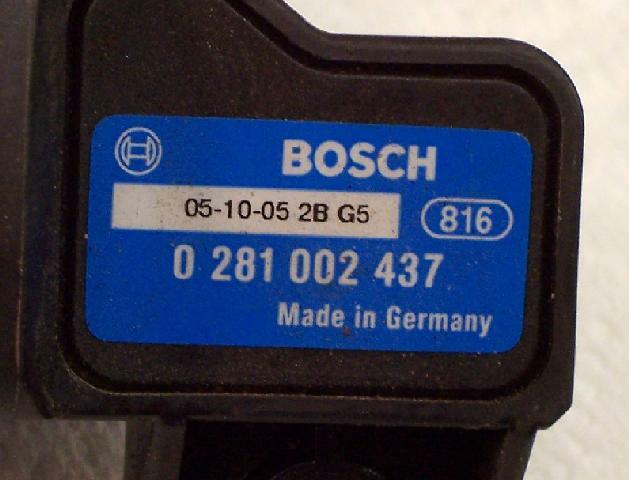 If the sensor is too bad to be cleaned it is a standard Bosch part. 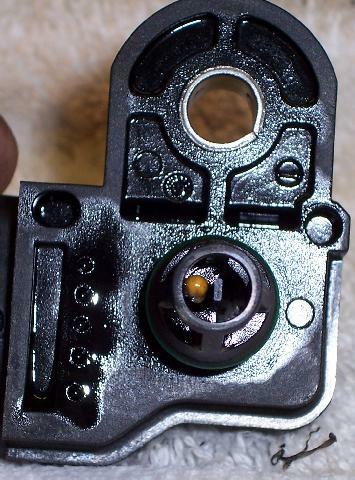 After a good cleaning (with carb or brake cleaner) the actual sensor is visible again. I disconnect the battery when I do this so the computer can relearn with a clean sensor. 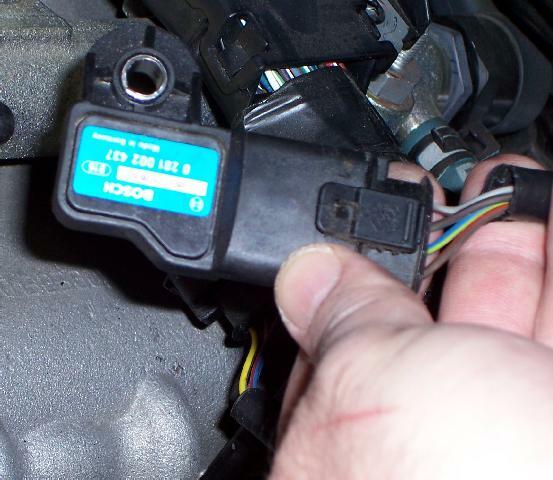 Some people report cleaning the sensor solves some driveability problems they've had. My Liberty ran better after cleaning the sensor, but I can't say how much is due to the sensor and how much is due to the cleared computer.